Fenichel’s paintings range from Abstract Expressionism during her early career to gestural abstraction, with brief forays into geometric abstraction and three-dimensional constructions. The common threads throughout her career have been a bold exploration of abstraction through a variety of approaches and media with with an emphasis on color harmonies, while nature and the human spirit have been her inspiration. Lilly Fenichel, The Way You Look Tonight, 2003, Acrylic Raw Canvas, 44"x 38"
David Richard Gallery will present a survey of abstract paintings and drawings by Lilly Fenichel, an Austrian-born artist whose career has spanned more than 6 decades in the US. The exhibition, “REWIND <> REPLAY: 1950 – 2014”, will be presented August 1 through September 6, 2014. A fully illustrated on-line catalogue with an essay by MaLin Wilson-Powell will accompany the exhibition. The gallery is located on 544 South Guadalupe Street, Santa Fe, New Mexico 87501, phone 505-983-9555 in the Santa Fe Railyard Arts District. Lilly Fenichel’s approach to painting is rooted in Abstract Expressionism and her use of the gesture is a recurring theme throughout her career. She worked with Elmer Bischoff, Ed Corbett, Hassel Smith and David Park at the California School of Fine Art in San Francisco at the peak of the movement. Fenichel’s paintings range from Abstract Expressionism during her early career to gestural abstraction, with brief forays into geometric abstraction and three-dimensional constructions. The common threads throughout her career have been a bold exploration of abstraction through a variety of approaches and media with with an emphasis on color harmonies. She has used canvas, paper, wood panel, fiberglass, muslin, fiberboard, MDF and most recently synthetic polypropylene as supports. Her work is expressive, often intimate and personal, as nature and the human spirit have been her inspiration. Lilly Fenichel studied at Chouinard Art Institute in Los Angeles and later at the California School of Fine Art—currently the San Francisco Art Institute. She has had numerous solo and group exhibitions during her six decade career in San Francisco, Los Angeles, Santa Barbara, Laguna, Davis, Albuquerque, Taos, Santa Fe, Austin and San Antonio among others as well as exhibitions at the Harwood Museum of Art, Taos, NM and the Santa Barbara Museum of Art. 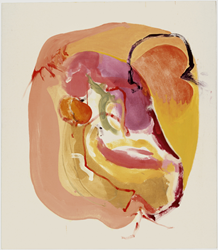 A recipient of three International Pollock-Krasner Grants and numerous other awards, her artwork is included in the permanent collections of the Harwood Museum of Art, Taos, NM, Albuquerque Museum, NM and U. of New Mexico Art Museum as well as numerous private collections.